When you work in real estate, the question “Why do people want to live in ________” is a reoccurring one. While our team is adept at telling our clients exactly why we love the Columbia area and how wonderful South Carolina is, this week we thought we share some great places to visit when in South Carolina. Charleston, South Carolina is a favorite day trip for many people living in the Columbia area. Founded in 1670 Charleston has great opportunities for entertainment from shopping on Kings Street, going to the Market, exploring Waterfront Park, walking along the Battery, and visiting the aquarium. When in Charleston you may see horse drawn buggies and great places to stop for food, drinks, and gelato. Beaufort, SC is our second oldest city and is full of history, beauty, and great food. Favorites of this city include sitting on bench swings over looking the water front and walking through the historic city. While there you may also choose to take part in a tour of the area and visit the museums to learn about the history. Angel Oak has several things going for it including that it is totally free! 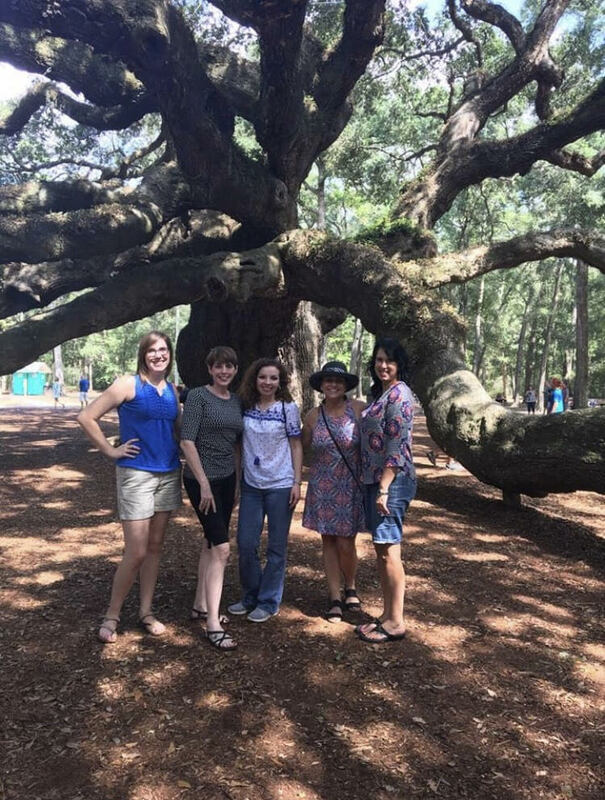 The Angel Oak Tree is a must see in South Carolina. It is estimated to be over 400 years old and is located close by Charleston. This tree is beyond description both in size and texture of the tree. Our team has been several times on day trips to Charleston and eaten lunch by the tree. Check out its official website for more information! The Congaree Park is a 22,000 acre forest located in Hopkins, South Carolina which is just a short drive from Columbia. The forest floods several times a year due to the Congaree River and has elevated walkways so that you can still experience the park that time of year. Full of Spanish moss, bald cypress trees, and wildlife; this park is ideal for any nature lover and bird watcher. These are just few places that we recommend exploring when in South Carolina. Stay tuned for part two next week! Should you have real estate needs or questions, give us a call or email as we are happy to help!